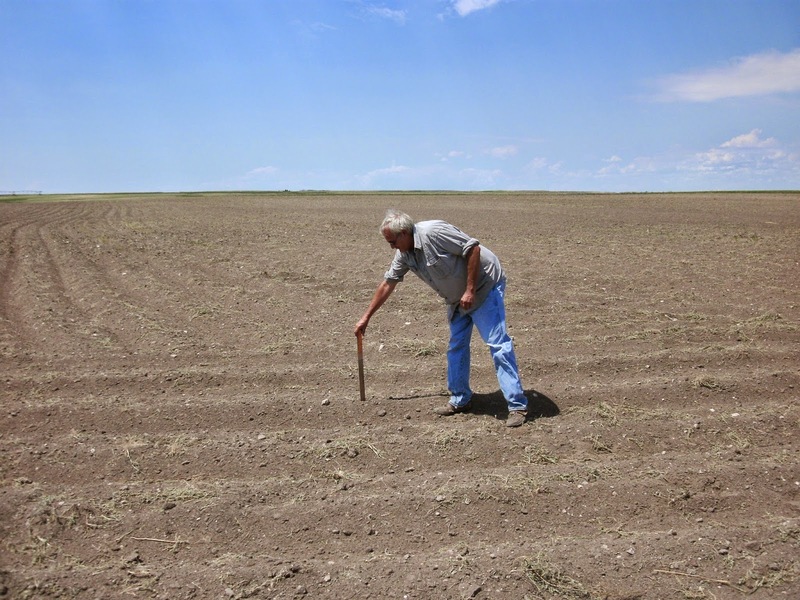 Wader Quest: Saving farmland breeding waders. Mountain Plovers and Black-tailed Godwits don't seem at first glance to have much in common, but in one respect they do. In the USA the Mountain Plover is traditionally a bird that breeds on the open short-grass Prairies. This habitat, like so many others has changed beyond recognition for the large part due to the expansion of agriculture swallowing up great swathes of it. The areas that are left have often been changed too with the irradication of Prairie Dog towns and the loss of grazing North American Bison. All this has meant that birds, such as the Mountain Plover, that depend on this habitat naturally, have suffered a loss of range and therefore their population is in decline (65% in 40 years). The Mountain Plover is considered to be Near Threatened as a result. Mountain Plover on wintering grounds in California. However, the Mountain Plover has proved to be adaptable and has, in certain areas, started to breed on the arable land that has replaced the traditional Prairie habitat. 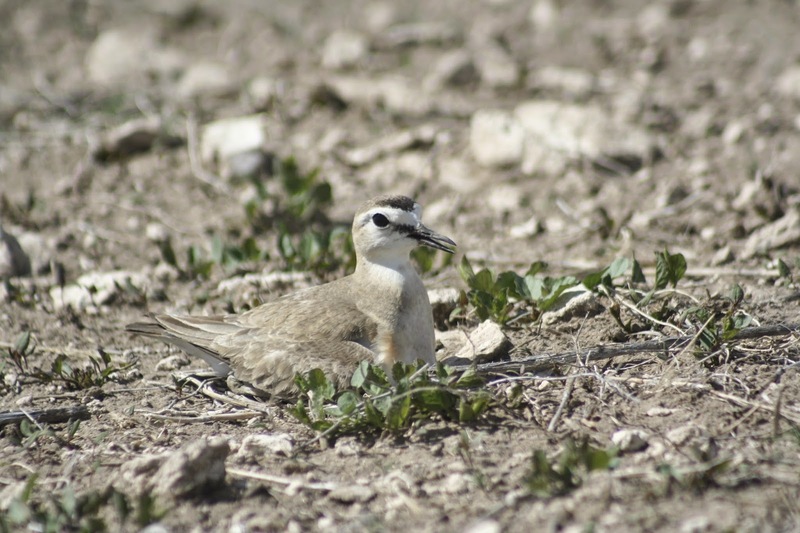 Mountain Plover Charadrius montanus incubating on farmland. Photo: Clay Edmondson. This ability to adapt however has not been altogether without its problems as whilst they are prepared it seems to share their lives with farmers, the practices of these farmers have not been a great friend to them. Studies show that up to 70% of farmland nesting Mountain Plovers lose their nest to farm machinery. Farming operations. Photo: Larry Snyder. Hope though, is on the horizon. 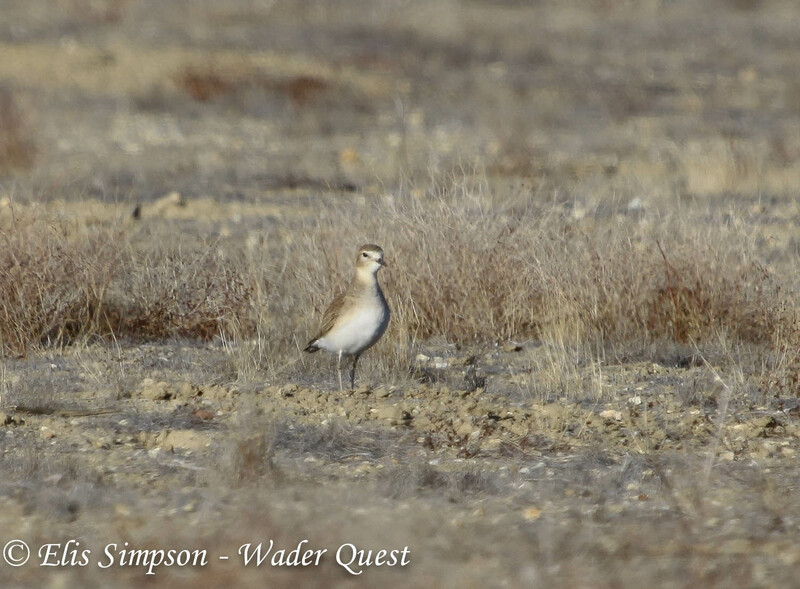 In the latest Wader Quest e-newsletter (available to sponsors of Wader Quest) Angela Dwyer of the Rocky Mountain Bird Observatory in Colorado wrote an article about a project in Nebraska to get farmers more aware of the Mountain Plover's situation and, for the most part, they have been willing and indeed enthusiastic (with the added incentive of compensation payments) about locating and avoiding the Mountain Plovers' nests. It has been a great success and the plovers are doing much better now with marked nests having a survival rate of 79% as opposed to 30% of unmarked nests. Newly hatched chick. Photo: Ross Lock. 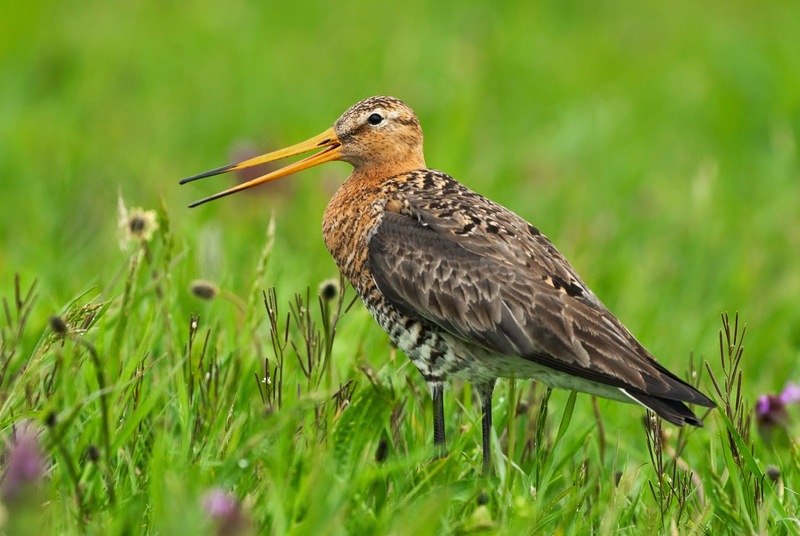 In a similar vein, but in different circumstances, in The Netherlands Astrid Kant, who also featured in the recent e-newsletter, started a one-lady campaign to save the Black-tailed Godwit as farming practices changed to the detriment of the birds' breeding success, she has now been joined by a few other Dutch godwit enthusiasts across the country. Black-tailed Godwit Limosa limosa in a Dutch meadow. Photo: Astrid Kant. The cutting of hay meadows has got earlier and earlier. 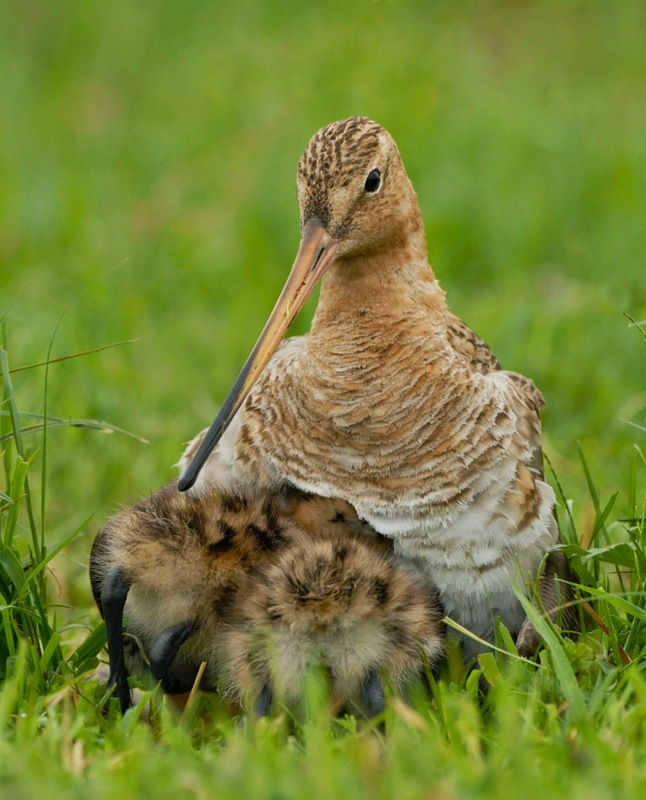 Whereas in the past a pair of godwits had time to hatch and fledge their young before the cutting began in mid June the dates for this have got progressively earlier. 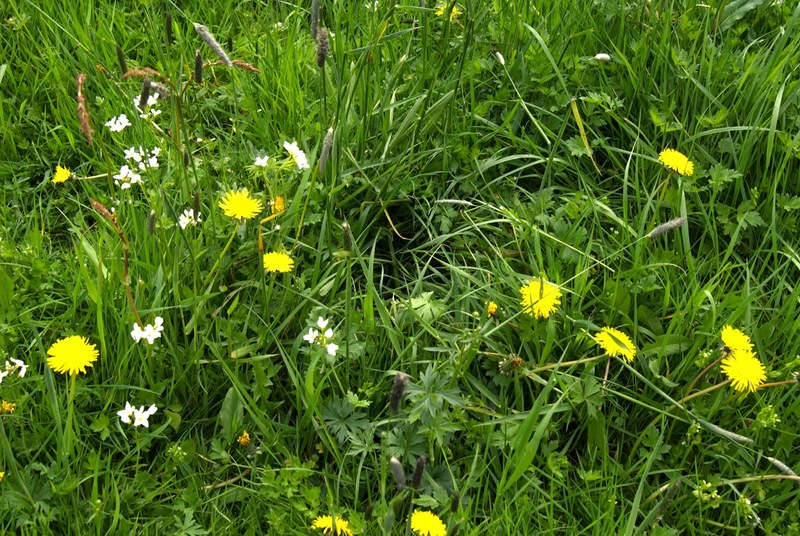 Now this can sometimes occur as early as mid-April, as it did this year, meaning that breeding is interrupted by the destruction of eggs or young or even prevented entirely. 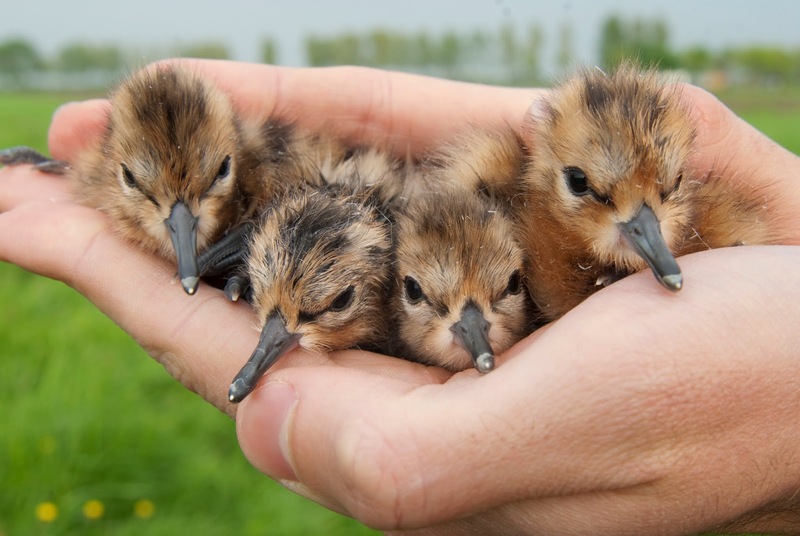 this is what a Black-tailed Godwit nest looks like! Photo: Astrid Kant. Once again Astrid who became passionate about saving these young birds and eggs 25 years ago has striven to get the farmers on-side and to a great extent she has been successful, many of them now work with Astrid to seek out nests, mark and avoid them while carrying out their farming activities. Astrid with chicks and a bewildered looking farmer. Photo: Astrid Kant. These two examples show how it is possible to work with farmers, whether as an institution such as the Rocky Mountain Bird Observatory or as a passionate individual such as Astrid, who is an inspiration for anyone who thinks that they cannot make a difference. Individuals, if determined enough and driven by passion can, and do, make a difference across the world in the same way that dedicated researchers and scientists can, and do, while working with larger organisations.